230 Elm Bend Road Brevard, NC. | MLS# 330251 | Brevard NC Real Estate Listings, Pisgah Forest, and Dunns Rock Properties for Sale. This listing Sold by Jason Jacques (828) 553-0193. Listing courtesy of Fisher Realty. 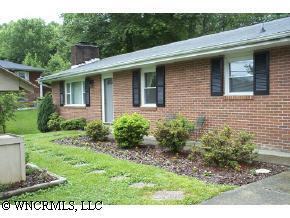 Extra neat brick ranch with many recent updates. Minutes to schools and the center of town. Hardwood and tile floors, fireplace with gas logs, attached garage and large back yard.